A new strategy document released by the White House promises to “closely monitor…the Internet and social networking sites” in order to “counter online violent extremist propaganda” as the federal government attempts to embed itself further in local communities under the guise of preventing domestic extremism. The document, Empowering Local Partners to Prevent Violent Extremism in the United States (PDF), focuses on identifying Americans who have supposedly been radicalized or groomed by Al-Qaeda to carry out attacks in the United States. As the L.A. Times notes , the plan involves “federal departments not usually associated with national security,” and is heavily focused around increasing the federal government’s involvement with schools and the “emotional and behavioral development” of young people. 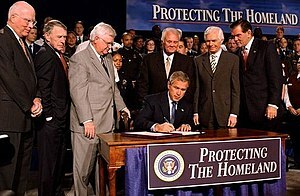 In targeting the Internet and social networking websites for surveillance in the name of fighting domestic terrorism, the White House is continuing in the vein of the previous administration who in 2006 revealed that since 9/11 they had been pursuing a plan to diminish the role of “conspiracy theories” as a primary recruitment tool for terrorists. The document arrives in the same week that the Pentagon also announced it would be hiring individuals to “detect and track popular ideas on social networks”. Continue reading ‘Government to Monitor Social Networks For “Extremist Propaganda”’ at Global Freedom Technology Firm. Last week Republican senator John McCain called for the government to establish a special panel to come up with legislation to address supposed cybersecurity threats facing the United States. 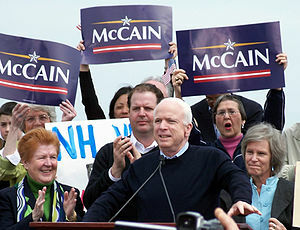 “The only way to move comprehensive cyber security legislation forward swiftly is to have committee chairmen and ranking members step away from preserving their own committees’ jurisdiction … (and) develop a bill that serves the national security needs of all Americans,” McCain said.http://c.brightcove.com/services/viewer/federated_f9?isVid=1&isUI=1 As if on cue, the Pentagon announced two previously unpublicized attacks following McCain’s call for a bipartisan action. On Thursday, out-going deputy secretary of defense Bill Lynn said a foreign intelligence service had stolen 24,000 files on a sensitive weapons system from a defense contractor’s network. Lynn said the Defense Industrial Base Cyber Pilot was established to work with the private sector in the battle against cyber foes. “Our success in cyberspace depends on a robust public-private partnership,” said Lynn. “The defense of the military will matter little unless our civilian critical infrastructure is also able to withstand attacks.” Lynn cranked up the paranoia in February when he speculated that al-Qaeda might get its hands on the Stuxnet virus. He said “it is possible for a terrorist group to develop cyberattack tools on their own or to buy them on the black market.” The highly sophisticated malware virus was engineered by the United States and with Israeli Mossad assistance placed on an Iranian industrial computer network in order to undermine the country’s nuclear energy program. Continue reading ‘Government Increases Hysteria Over Cyber Attacks in Push to Crack Down on the Internet‘ at Global Freedom Technology Firm. It was some time after Friday prayers, and in Mohammad Umar‘s barber shop a crowd had gathered to wait for a trim, hide from the rain and share the latest gossip. There was plenty to talk about. The latest piece of news at the end of a week in which it had been revealed Osama Bin Laden had practically been their neighbour, was that a covert CIA surveillance team had also lived among them, unnoticed and unknown. Nobody was inclined to believe either proposition could be true. “We have been living here for such a long time, so we know everything. We have been here and we have never seen such people,” claimed shopkeeper Kurram Khan, above the gentle chatter of a radio and the noise of scissors snipping through hair. 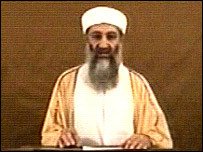 US officials have revealed that in addition to whatever satellite wizardry they employed to monitor Bin Laden, the al-Qa’ida leader had for months also been under surveillance from a team of agents, who rented a house close to his and monitored his compound using telephoto lenses, listening equipment and infra-red imaging equipment designed to look for possible escape tunnels that may have been built beneath the three-storey property. One report in an US newspaper said the surveillance effort was so extensive and costly the CIA had to go to Congress late last year and ask for millions of dollars of additional funds for the project. The surveillance team, operating from behind tinted windows, was reportedly put in place last summer and stayed until the operation by Navy Seals to capture or kill Bin Laden. The surveillance team apparently spotted a man taking regular walks through the compound’s courtyard and because of that he was given the name “the pacer”, though they were never able to confirm he was Bin Laden. If it was, then he was lucky for the opportunity to get some fresh air: it was reported yesterday that one of Bin Laden’s wives, Amal Ahmed Abdullfattah, told Pakistani investigators she had been at the compound for five years, during which time she had never left the upper floors. So in which house in the Thanda Choha neighbourhood might a CIA surveillance team have been able to go about its business? As the rain worsened and started to turn the narrow lanes into thick mud, The Independent unfurled its umbrella and went in search. One house that seemed to have a good location and was high enough to provide a decent view of the back of the Bin Ladens’ compound was owned by the family of Waqas Abbassi. Things got more exciting when he revealed that, until quite recently, the upstairs floor had been occupied by a family of Pashtun-speaking Afghans. Could they have been CIA operatives? Perhaps, but after clambering to the upstairs room, hopes were somewhat dashed when it was revealed there was only one small window, and it did not look out over the compound. Last night suspicion fell on a cream-coloured property with a clear view of Bin Laden’s compound and large windows looking towards the green, double gates of his building. However, the property remains inside a police cordon that Pakistani officials are enforcing around the al-Qa’ida leader’s compound. For now, the CIA’s latest secret may remain that for a while longer. Sunday Only: 13% – 33% Off Select HDTVs. According to officialdom, the color-coded alert system was dumped because it didn’t provide enough information on supposed threats. Under the new system, an “elevated” threat will include a “credible” threat of terrorism while an “imminent” threat would warn of a “credible, specific and impending threat,” according to DHS bureaucrats. 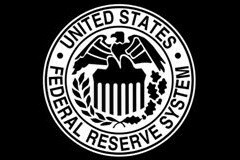 Fed goons harass Infowars.com journalists for the crime of photographing the private Federal Reserve. The new system, called the National Terrorism Advisory System, is necessary according to Napolitano because the old color-coded system did not communicate enough fear-based information. “What was the threat? What were you supposed to do? Where were you supposed to go to get up-to-date information?” In addition, the older system “had no natural way to be reduced if a threat dissipated or was removed,” she explained. In addition to ferreting out exaggerated and fictional threats to the corporate media – threats easily ignored under the old system – the new system will feed them to Facebook and Twitter as well. Government engineered fear-mongering will soon invade social networks and become more personalized. Instructing the cops how to profile citizens as terrorists. A 2003 beta test in Virginia included sending local residents “free subscriptions to emergency alerts, which are delivered to personal digital assistants or mobile phones,” wrote Elsa Wenzel of PCWorld. The technology was designed to tailor messages to specific zip codes, alerting residents to supposed dangers – white al-Qaeda lurking about with cameras, for instance (see the above cop training video) – in their own neighborhoods. The new DHS system reveals a larger plan by the government to install a sprawling fear-based electronic matrix that sends text messages over our wireless devices and posts terror warnings using the full range of social media, including microblogging services, Facebook and Twitter instant messages. In the not too distant future, we can expect endlessly issued and fatuous terror alerts to be accompanied by increased presence of goons in full black-clad regalia of the militarized police state at public buildings and the local mall as the control grid expands from the nation’s airports and travel infrastructure to local neighborhoods. Intrusive pat-downs and mobile naked body scanners at the mall are on the agenda in the months ahead. The goal of endless harebrained terror alerts is to get us acclimated to the presence of cops and a network of tattletales, snoops and informers serving the larger Stasi-state America has become. Statement on Libya – Defining U.S. National Security Interests, Before the Foreign Affairs Committee, US House of Representatives, 31 March 2011The American people have once again been suckered into an unconstitutional, undeclared, illegal, and unwise war. This is not a war in response to an attack on the United States. This is not a war against a regime that has threatened the United States. This is a preventative war. The president never claimed that any large-scale slaughter of civilians was taking place in Libya. Rather, the president has spent close to a billion dollars – so far – bombing a country because its government might at some point harm its civilians. The president consulted NATO, the United Nations, and the Arab League for permission and authorization to use US military force against Libya. He ignored the one body that has the legal authority to grant that permission, the US Congress.While we have not seen credible proof – nor has it been claimed – that the Gaddafi regime has engaged in any large-scale slaughter of Libyan civilians, we see increasing reports of civilians who have been killed in airstrikes by the forces that are supposed to protect them! It seems we may be causing the very problem our intervention was supposed to prevent.After days of the administration’s public speculation about whether or not to arm the Libyan rebels, we hear from the media that the president already instructed the CIA to arm and assist the rebels several weeks ago. So we have gone from the phony pretext of stopping a massacre of civilians to engaging the US military and covert operatives directly to fight on one side of a civil war.Who are the rebels we are fighting for in Libya? We don’t fully know. Press reports suggest that there are some 1,000 jihadists fighting on their behalf. Are we arming al Qaeda in Libya? It certainly appears possible.This is not really a new war. It is in fact a continuation of the neoconservatives’ 22-year war to remake the Middle East. Unfortunately the president has ignored the US constitution and decided instead to continue this misguided policy. This is a deeply flawed foreign policy that will only lead to escalation, blowback, and unintended consequences. Ultimately it is leading us to financial catastrophe. We must abandon the fantasy that we can police the world before it’s too late. Congress must stand up and say “no” to this illegal war. “It is a test that the international community has to pass. Failure would shake further the faith of the people’s region in the emerging international order and the primacy of international law.”–Brookings Institute’s “Libya’s Test of the New International Order,” February 2011.The media expects you to believe placard waving peaceful demonstrators have somehow, in just days, transitioned into tank driving, jet flying rebel forces – just like in Hollywood. Photo: BRQ Network.While a parade of politicians and pundits cite the “international community,” the UN, and the “Arab street” as giving them the justification to not only wage illegal war on Libya, but to threaten illegal war against Syria as well, it should be remembered that it was neither the UN nor the “international community” that laid the ground work for this campaign.What started out, supposedly, as spontaneous, simultaneous uprisings across the Middle East, has transformed clearly into an aggressive Western-backed blitzkrieg of destabilization and regime change. This was a plan that was years in the making, talked about in 2007 by then, presidential hopeful, CFR member, and International Crisis Group trustee Wesley Clark. As hard as our “leadership” tries to act surprised, the current Middle Eastern conflagration has been years in the making.We now know that the protesters from Tunisia to Egypt had been trained by US created and funded CANVAS of Serbia. We have learned that the US State Department openly admits to providing funding to tech firms to assist protesters across the Middle East and Northern Africa to circumvent cyber-security inside target nations. Perhaps most alarming of all, we now know that the US State Department is also funding corporations like BBC to undermine the governments of China and Iran, revealing the full-scope of their ambitions.The “international community” that feckless stooges like Joe Lieberman talk about, or his French equal in impotency, Nicolas Sarkozy’s “new post-UNSC 1973 model of world governance” are concepts not born of these “elected representatives,” but rather the product of the corporate think-tanks that hand them their talking points. It is the corporate-financier oligarchy that constitutes the “international community” and who aspires to rule through “world governance.” Their goal is to eliminate national sovereignty and assert their agenda and the laws & regulations to achieve it homogeneously across all national borders.To see who Lieberman and Sarkozy are channeling, we look to the Brookings Institute report “Libya’s Test of the New International Order” back in February 2011. In it, it talks about the primacy of international law over national sovereignty and considered it being at stake in Libya. Allowing Libya to defy the “international community,” they worried, could ultimately threaten its “resolve and credibility.”Another telling Brookings Institute report, “Bifurcating the Middle East,” mentions rallying “the Arab street” to confront defiant states like Libya, Syria, and Iran, all of which are mentioned by name. Nowhere was oil mentioned, nor the tremendous profits defense contractors would surely reap, and while these are primary motivators to garner support for the regional campaign within the corporate combine, they are by no means the primary motivators for the campaign itself. The final goal is world government, the elimination of borders, and a monopolistic corporate-financier cartel that can systematically eliminate all challenges to its hegemony – in other words, the dream of all oligarchs since the beginning of time.In Syria, resistance to the Western-backed opposition is a similar direct challenge to the corporate-financier oligarchs. Nations like Syria, Iran, Libya, Burma, Belarus, and many others are demonized and systematically isolated and undermined not because they are a threat to the world, but because their independence and refusal to acquiesce is an obstacle before a corporate-financier ruled world government.We are given childish explanations that prey on the most ignorant and feeble of minds as to why we are fighting in Libya, and why we are threatening war with Syria and Iran. Nowhere in Lieberman or Sarkozy’s ranting statements is talk of who these rebels are; that they’ve been fighting on and off against Qaddafi for nearly three decades with US help, that their opposition is based in London and the United States, and that they have overt ties to Al-Qaeda, with rebel leaders themselves openly admitting their affiliations to the terrorist group. We are now told that recently returning to Libya to lead the rebels is Khalifa Hifter, who has spent the last 20 years in “suburban Virginia,” and has spent his time in America lending support to anti-Qaddafi groups.After fighting a decade in Afghanistan and Iraq at the cost of nearly 6,000 US lives, supposedly to stop the ubiquitous “Al Qaeda,” an organization the US itself created in the mountains of Afghanistan in the 1980′s to fight the Soviets, we have come full circle, with CIA/Al-Qaeda assets fighting side-by-side in Libya, complete with US air support.Do regular folks forget that Syria was mentioned as part of George Bush’s “Axis of Evil” and that Obama is merely carrying on a continuous agenda that has transcended administrations up to this very day? Considering the agenda revealed by Wesley Clark in 2007, we see how seamlessly “Obama’s war” against Libya fits in. If we are to believe Obama and Bush are ideological opposites, what other explanation can be given as to why this agenda, scorned by the political left under Bush, has now found a new home in Obama’s administration?Quite clearly politics in America is but a mere illusion. So to is the “War on Terror,” as the US helps Al-Qaeda sweep westward towards Tripoli. It is all empty rhetoric carrying the agenda of global government forward. Despite losing nearly 6,000 of their brothers in arms, the US military carries on, following orders despite the absolute, overt absurdity of their mission. They are literally providing air support now for the men that helped send their buddies back in pine boxes from Iraq. They do this while the media that lied them into a decade of war now celebrates their enemy, these rebels of Benghazi, as heroes of democracy. Again – we come full circle as the Mujaheddin fighting the Soviets were once “heroes” of the West as well.None of this makes any sense from the political left or right perspective. None of this makes sense from a West verses “Muslim extremist” perspective. The only perspective from which it makes sense, is if a cartel of corporations has been lying to us all along, saying anything and everything to get us to jump through the appropriate hoops. 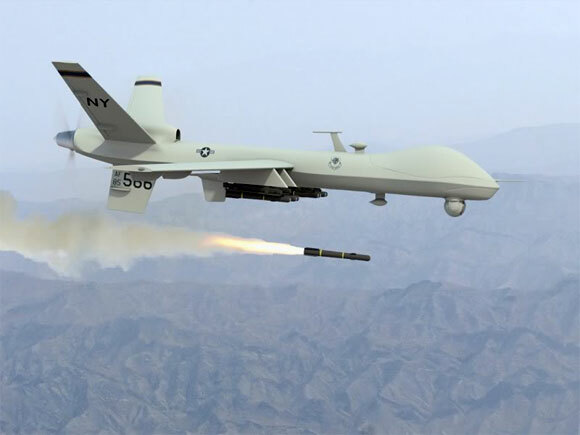 With their plans becoming bolder, perhaps even desperate, they have begun to mix up their narratives to the extent that they are bombing “Al Qaeda” in Pakistan and giving “Al Qeada” air support in Libya. They are admittedly strafing civilians from the air in Pakistan, but imposing no fly zones on Qaddafi over unverified claims of doing the same. As the globalists admittedly strafe civilians in Afghanistan and Pakistan, they have lobbied for war with Libya over verified lies of doing the same.Indeed, this is not a war of America, the UN, NATO, or the European Union. The feckless politicians that pose as our leadership are merely taking orders from the powers that be – the corporate-financier oligarchs. If we are to frustrate these oligarchs, we would be wise to waste little time on their front men and instead get straight to the issue. Boycott these corporations and systematically replace them on a local level. While they wage war to eliminate the nation state, from its borders down to our own individual rights and liberties, we must wage a campaign to undermine and eliminate them, from their crass consumerist networks that infest our towns, to the parasitic monstrosity that is the international banking system which infests this planet.While they must wage their battle through murder, lies, and deceit, we must wage our battle through constructive pragmatic solutions, ingenuity, hard work, community, and self-sufficiency. This is not a war for Libya – this is a war for world government, that if won by the globalists, means our defeat as well. Save $300 on Cambridge SoundWorks MC630HD 5.1 Home Theater. Just in time for March Madness! Offer Expires 4/4. Free Shipping.